"This nanny search was nothing short of a miracle! I have twin boys that are 5 years old and we just had another set of twins! My anxiety related to hiring a nanny was a real concern. Who would be able to accomplish such a daunting position with ease and care? Although I had hired a nanny for my older twins when they were very young, I recall it being a very unpleasant experience until we found the right one who was with us for nearly four years but then she started a family of her own. When I registered with ABC Nanny Source, I received an extensive profile for each nanny and they ALL had twin experience? I was shocked! They also all lived in Arlington right in our home town. The process was made very easy for our family with this nanny agency and within a matter of days, I hired the perfect nanny for all four of our precious children!" Click Below to View some examples of Virginia Nannies in the ABC Network! Virginia Nanny Agency that Provides Quality Care You Can Trust! Register Today, Decide Tomorrow, Nanny Starts Immediately! 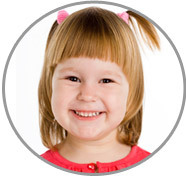 ABC Nanny Source presents families with only the most qualified Nannies in the Virginia area. Our database is full of diverse and professional Nannies that are available right away for your consideration! Each Virginia Nanny has been meticulously screened using our unique, incomparable 10 Step Screening Process. Safety is our number one priority at ABC Nanny Source. You can be confident that the Nanny caring for your children will be highly experienced and skilled in all respects. We provide certified, high caliber, experienced candidates to families in the Virginia area. ABC Nanny Source takes care of everything for you from interviewing and screening each candidate to presenting the final Offer of Employment! We understand that our families are extremely busy and it is our desire to make the process as enjoyable and simple as possible. ABC Nanny Source strives to consistently impress our families with effective, permanent placements! Our biggest compliment is your recommendation to a friend. Word of mouth has developed the solid reputation ABC Nanny Source has with the families in the Virginia area! This reputation is built on a distinct foundation of excellence, surpassing the industry standards in all respects! ABC Nanny Source also presents an official Offer of Employment after your decision has been made, so all of the details of the agreement are outlined in a simple and clear manner. 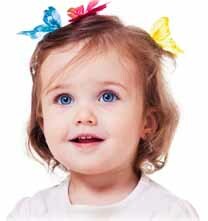 ABC Nanny Source is proud of each and every placement, which is why we offer a ONE YEAR GUARANTEE! We are positive that you will have a wonderful experience while hiring a Virginia Nanny through ABC Nanny Source. ABC services MANY cities in the state of Virginia including: Arlington, Alexandria, McLean, Leesburg and Lake Ridge. Please view all service areas for a more detailed and comprehensive list. Please contact us in order to connect with a Placement Counselor today to find your ideal Virginia Nanny right away! Virginia Nanny Beverly has wonderful experience to share with your family! ABC's Virginia Nanny Agency values Molly's passion for involving education in everyday activities! Nanny in Virginia Kimberly has wonderful energy and a passion for childcare to share! ABC’s Nanny Agency in Virginia Embraces Rebecca’s warmth and kindness! Your Virginia Nanny Job will love Jessica’s wonderful experience with a strong educational background!